Portable PA Systems are great for providing serious sound for your next event. 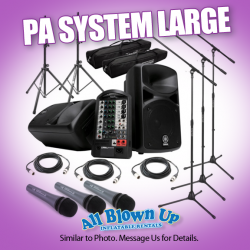 Our PA systems can be used both indoors and outdoors, and we have the perfect size for small to large crowds. 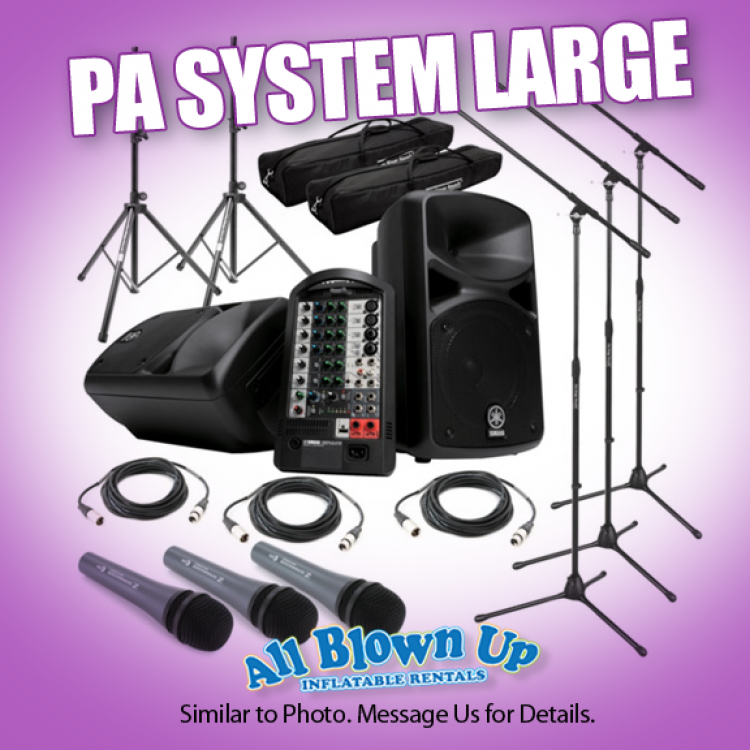 Contact us for details about which PA System is best for your event.